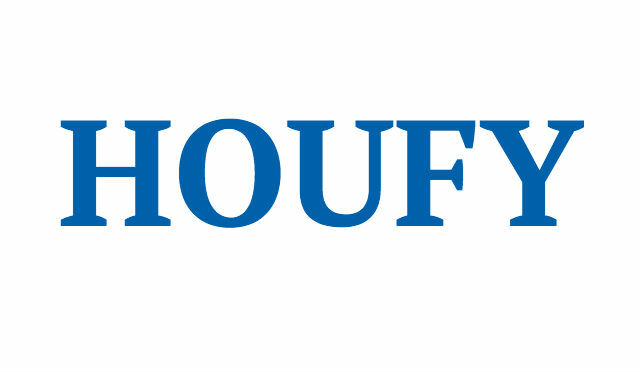 To follow Lesli Montgomery, please log in to Houfy or create an account. AMAZING VIEWS, privacy, pet friendly! Book Spring dates NOW and save $ by BOOKING DIRECT. Welcome to Parkway Peek! Indulge in our fully-renovated mountain home and enjoy 180° views of the Blue Ridge mountains and the Black Mountain range. Relaxing on the expansive deck, you'll hear nothing but the sounds of nature and the occasional passing train in the distance. At 3200ft above sea level, mountain paradise awaits you within our 1 1/2 acres located adjacent to the pristine Pisgah National Forest. Located just 1.3 miles from the Bear Den exit (mile marker 324.8 on the Blue Ridge Parkway), Parkway Peek is the perfect get away for couples, families or groups of friends. Featuring 3.5 bedrooms and 2 bathrooms, this 2-story home has everything you need for your perfect vacation: GE kitchen appliances, granite counters in kitchen, renovated bathrooms (full bath with traditional shower/tub downstairs, custom glass shower upstairs), fully renovated downstairs, HUGE deck and screened porch and several fire pits/chimeneas. Stay a few days and take in the local sites or stay a week and use Parkway Peek as your 'jumping off" point for Asheville, Blowing Rock, Linville Falls or skiing at Sugar Mountain. We're within a 45minute drive from all that Western North Carolina has to offer! Local attractions include: the historic Altapass Orchard (featuring live music and festivities throughout most of the year), Springmaid Mountain (horseback riding, tubing, fly fishing), Linville Falls, Linville Caverns, Wilson Creek Wilderness Area and many other hiking trails all within a 15-30minute drive up the Parkway to the north; Little Switzerland, Crabtree Falls and Mt. Mitchell are 15-45minutes down the Parkway to the south; Table Rock, Lake James, Blowing Rock, Tweetsie Railroad, Boone, Grandfather Mountain, Sugar Mountain and HawksNest are all within a 45minute drive. Our section of the Blue Ridge Parkway between Highway 226 and the Bear Den exit is typically open year-round. Check local weather conditions and the Parkway website in the winter for possible temporary closures. A 4-wheel drive is not needed to access our property unless there has been a heavy snow. Our community road is maintained year-round and our driveway has flat access. Main source of heat for the home is wood-burning stove and fireplace (there is no central heat). Wood is provided. We hope you will enjoy our 'contemporary rustic' jewel in the heart of the Blue Ridge Mountains! Be sure to check-out our local and regional musicians! Kayak the local river, ride a horse, climb a mountain! Early check-in or late departure may be possible, depending on availability. Additional fee may apply. Yes, based on approval from owner. Due to high decks and stairs, children must be carefully watched at all times. HUGE outdoor deck overlooking the Black Mountains & Mt. Mitchell; very large screened porch with separate side deck overlooking side yard & fire pit & mountains. Wireless internet provider is via satellite and DOES NOT support gaming nor video streaming. For faster internet speeds, we suggest using your phone as a "hot spot." Cell service is VERY GOOD at the cabin. Kitchen is stocked with pots & pans, cooking utensils, condiments and plenty of glassware & dishes. We are an energetic family of 4 (+ 3 dogs) currently residing in Greenville, SC. Please contact us directly with any questions. Full payment is due at the time of booking (at times, we will split payments) either by check, Venmo or PayPal. If payment is made via PayPal by credit card, renter is responsible for additional 3% credit card processing fee. There are no refunds for cancellations nor shortened stays. Payments by check are preferred, but we also accept Venmo, PayPal, Zelle or credit cards (credit cards payments will incur additional 3% fee). Damage deposit is refunded, by check, once the housekeeper has inspected and cleaned the cabin. There is no refund for cancellations nor shortened stays. No smoking inside the house nor on screened porch. No fireworks. All pet waste must be cleaned-up and removed from the property before departure. Our home is located up a well-kept gravel road, about 1/4 mile from the paved road. Four-wheel drive is not needed in most conditions.